Foilco was established in 1987 by David Hornby. David is still actively involved in the business as CEO working closely with his two sons, Paul and Matt Hornby. 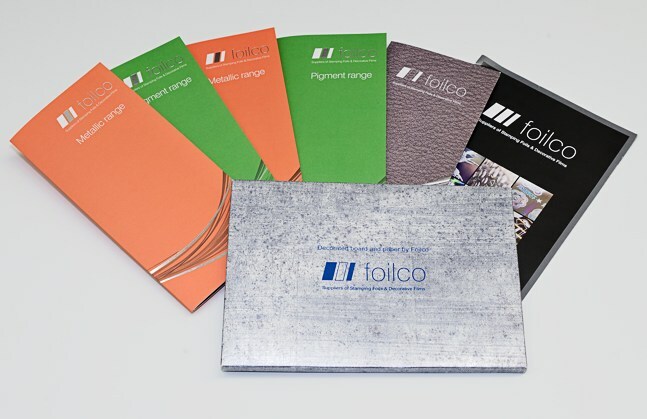 Realising the need for a service driven foil supplier with an extensive range, the Directors of Foilco brought together their experience and knowledge in ink technology and packaging sectors with a strong emphasis on quick supply, product range, technical backup and support. These philosophies have stayed true and have become ever more important as the company has progressed and grown. DREYER KLICHE and Foilco Ltd are quality and service driven companies with shared values and ideals in the quality enhancement of creative design in packaging and print. The partnership between our companies is of great benefit to our customers and is highly respected throughout Europe. "With this cooperation, our common knowledge of the various processes, applications and techniques, we feel that we can provide the best solutions to maximize the impact of foil printing and embossing.Our customers have found this combination very refreshing and very useful. Many of the Specialty Foils and colors we offer, is rarely reached out to designers. Printing companies are often reluctant to foil stamped on "difficult" surfaces in the false belief that they should not use Hotfoil on some occasions. With DREYER KLICHE's extensive know how in finishing, their understanding of design and, not least with their amazing hotfoil and emboss dies, opens a new world of possibilities, that designers and brand managers will find incredibly useful. DREYER KLICHE breaks with tradition. When we talk about Kliché suppliers, I feel that this combination is unique"